The act has bipartisan support by over 40 congressmen and senators. 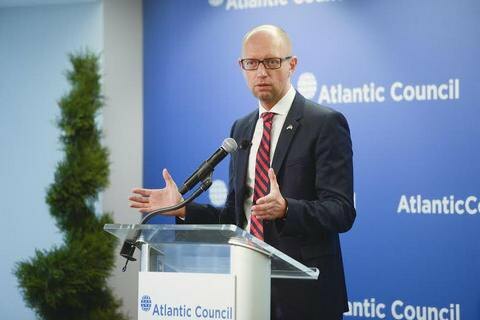 Former Prime Minister Arseniy of Ukraine Yatsenyuk says the bill on the supply of lethal weapons, which was adopted today by the US lower house, has great chances to pass through the Senate. "US House of Representatives unanimously approved “Stability and Democracy for Ukraine Act”, which directly provides for the granting lethal defensive weapons to Ukraine. In addition, the US sanctions against Russia will be renewed automatically, until the president will be able to convince Congress that the sovereignty of Ukraine is restored," the politician wrote on Facebook on 22 September. "In the American tradition, such sanctions can last for decades The law also expressly prohibits the executive power of the United States to recognize the Russian annexation of Crimea. The law stands great chances to pass through the Senate as it is supported by more than 40 congressmen and senators from both American parties, "- he said. The “Stability and Democracy for Ukraine Act” was sponsored by the co-chairman of the Foreign Affairs Committee of the House of Representatives Eliot Engel and submitted jointly with Republican Congressman Adam Kinzinger.